“….So the point is that each one of us makes a difference every single day, we make some kind of impact, we have a choice, we address the local problems the things that we can do something about. 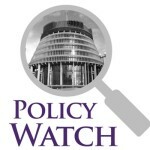 Welcome to the latest Policy Watch e-newsletter. Election 2017 is less than 6 weeks away and shortly we will decide to whom we give our hearts and minds. Not so easy when so many of the big issues we care deeply about need cross party cooperation, long-term strategies and political accords. Election 2017 sees an economy in good shape, relative to other countries, and many New Zealanders are doing well thank you very much. Where our hearts and minds are needed is for the 682,500 people and 220,000 children (after housing costs) living in poverty, for the young people and families homeless, for those struggling to live with dignity on a benefit, often coping with mental or physical challenges, or caring for a dependent. And somewhere amongst all this complexity, we also need hearts and minds to care for the planet. No mean feat but as the legendary Dame Jan Goodall reminds us small ethical choices that consider more than our own individual needs are a great starting point. Read the full Equality Election Statement 2017 which outlines key ideas for a fairer country. Take Action: One simple change to reduce poverty and inequality would be to pay a Child Tax Credit to all the nearly 200,000 children living on homes where no-one is in paid work. Watch and share this video where Wellington GP Pauline Horrill talks about what it is like for one of her patients, a teenager growing up in poverty. Low paid workers are also struggling and as Muriel Tunoho reports from her experience as a Living Employer, and calls for local and central government to also pay the Living Wage. Check out the NZCCSS election dairy 2017 for key events happening around our NGO and faith communities and be informed. 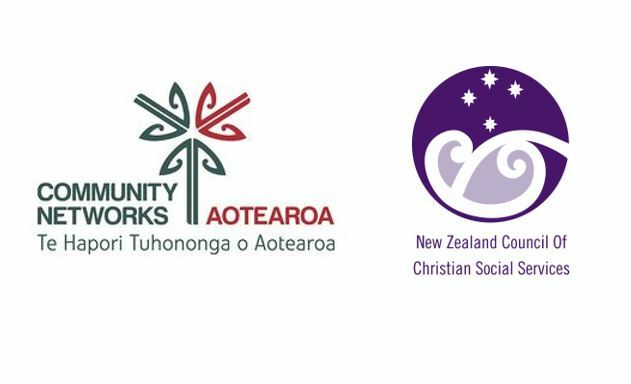 Empowerment & Success: A Positive Path for the NGO Sector – Pencil in your diaries an upcoming joint NZCCSS and Community Networks Aotearoa (CNA) conference. The conference recognises the value of community-base organisations, explores the pathways ahead to prepare ourselves for the future, and debates the directions taken and what this may mean for the NGO sector and those in communities they serve. The conference is on 26th and 27th of October at the Quality Hotel Lincoln Green in Auckland. This two-day event will have something to offer not only our member organisations and their networks but all involved sector-wide. So, save the date and register soon to take advantage of early bird pricing. The latest Household Income Report 2017 produced by the Ministry of Social Development is out. This iconic and much anticipated report is packed with data and explanation about different measures of child poverty. But no matter how you name and measure it, New Zealand continues to have an unacceptably high level of household poverty and child poverty. The 2017 report shows using the Constant Value 60% of before housing costs income threshold, 10% of households (455,000 of total population of 4.55 million) are living in poverty, and 215,000 children below the same threshold (p.120 of 2016 report). The poverty story is even more severe when housing costs are deducted (After Housing Costs 60% Constant Value) there are 220,00 children and 15% or a total of 682,500 people in poverty (p.116). Not long to go before Parliament rises (August 27th) to make ready for the formalities of Election 2017. Here’s an update on legislation/submissions relevant to the social services sector. NZCCSS welcomes this legislation and looks forward to working with Oranga Tamariki on the implementation phase. Mandatory registration for social workers – The Regulatory Impact Statement (RIS) and cabinet paper on legislative changes to support mandatory registration for social workers are available. The bill is expected to be tabled in the house before Parliament rises. The Ministry of Social Development is the lead agency developing the legislation. NZCCSS is watching developments closely and will keep its members informed on the progress of the bill once introduced to the house. Making Working for Families and child support simpler – Inland revenue is currently consulting on ways to simplify entitlements the department administers [Working for families Tax credit, child support, student loan repayments and Kiwisaver]. The proposals in the discussion document follow substantive consultation earlier in the year, and aim to provide more certainty about what support people are entitled to, along with their payment obligations. NZCCSS welcomes this review, seeing it as long overdue. Consultation with member agencies will inform NZCCSS’ submission to Inland Revenue. Consultation closes on September 15 2017. The theme selected by the Catholic Bishops of New Zealand for this year’s Social Justice Week is ‘Weaving bonds of belonging: Knowing our neighbours“. Caritas has developed a range of resources to support parishes and parishioners to reflect on through the week. Pay Equity Pressure on Aged Care Services. Since 1st July care workers in aged care have been receiving the new, higher rates of pay legislated by the Government as part of the pay equity settlement. Although the Government said it would fully fund the settlement, the recent announcement that Caughey Preston rest home in Remuera is closing cited inadequate government funding as one of the reasons for closing. 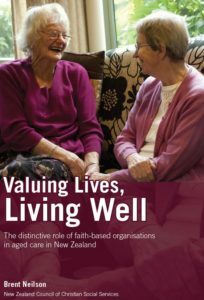 NZ Aged Care Association Chief Executive Simon Wallace says, those mostly affected are smaller rest homes, often in rural areas, as well as those run by welfare, trusts or religious based organisations. “Unfortunately the Government funding is not fully covering the cost of the increase in caregiver wages.” The sector is calling for transitional funding package to cover the funding shortfall. Careerforce Training Excellence Awards – Enliven (Presbyterian Support Northern) has won the employer category of the inaugural Careerforce Training Excellence Awards for their commitment to training, professional development, and to their employees’ wellbeing. Cherie Saunders, Enliven’s learning and development quality manager, said winning the award was a huge recognition of the organisation’s achievements. “We celebrate successes of support workers. From an ethical point of view, we believe in the right of our workers to be able to learn on the job and gain formal qualifications. They also have the right to receive their training in a way that best suits their learning needs.” Once again the value and competence of the NGO faith-base sector is demonstrated. Go Enliven! New Zealand’s housing affordability crisis continues to impact on our basic human need for shelter, and every week the news reflects this human crisis. The recent death of two homeless men in Auckland stirred the country’s conscience, as did the recent story of the eviction of a nine-member family, including a new born baby, from their state house in Manurewa. This happened after their mother died tragically in a car crash and the lease could not be transferred to another family member. Our members continue to tell us long waiting lists for state housing, a shortage of social housing, along with the inflated cost of private rentals has exacerbate the housing crisis (where there’s supply, there’s demand). There have been a few glimmers of hope reported in the news recently but overall efforts seem piecemeal. 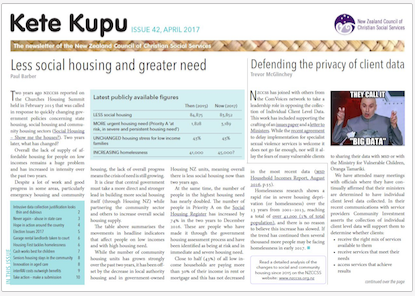 The Auckland Council is calling for a review of all special housing areas to see how many affordable homes have been built. This is to keep taps on 10% affordable that was agreed with housing developers after only 3000 of the 39,000 homes have been constructed. In New Plymouth, the Bishop’s Action Foundation is looking to but 21 derelict Housing New Zealand properties and build more than 50 affordable homes. Much more needs to be done and a government backed housing strategy is critical to address this crisis. The ANZASW is offering two courses for those who need training to demonstrate competence to work with Māori and competence to work with difference ethnic and cultural groups. Please click on the documents below to find out more details. SSPA is hosting Masterclasses on three topics straight after the closing of Beyond Boundaries – Kei Tua o Pae Conference. 1) Collaboration in Social Work Practice – Moving Beyond Boundaries Through Relationship Building by ANZASW 3.00 – 5.30pm, Oceania room, Te Papa. This is a forum for all social workers and social work managers on collaboration and relationship building in social work practice, with three high-quality presentations. 2) Brokering Partnership for Results by Trish Hall 3.00 – 5.00pm, Rangimarie room 1, Te Papa. This workshop is for you, if you are active in partnerships or about to be…. and determined that those partnerships are more than fine words. 3) All you need to know about fundraising by Fundraising Institute of New Zealand 3.00 – 5.00pm, Rangimarie room 2, Te Papa. A step-by-step guide to fundraising hosted by FINZ. It will look at the different ways of raising money and take you from the planning stage through to final implementation. In this final of three Community Research webinars, featuring RBA, Sharon Shea will delve more deeply into data collection, and provide some baseline tools and definitions for data collection. If you are interested in measuring and improving your outcomes, then this webinar is a place to start. The Last Word goes to ….Judge Justice Joe Williams, who gave an inspiring key note speech at the Te Ritorito 2017 on ‘The Treaty of Waitangi and whānau, hapū and iwi wellbeing’.